von: NAACP Legal Defense and Educational Fund, Inc.
Our nation&apos;s colleges and universities are strengthened by cultivating diversity and addressing barriers to equal opportunity. 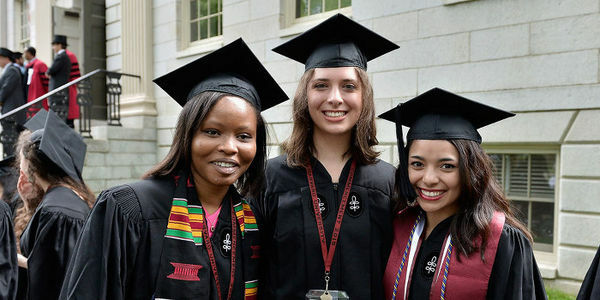 Yet, the plaintiffs in Students for Fair Admissions (SFFA) v. Harvard are trying to eliminate race from consideration in college admissions, threatening diversity at Harvard and at colleges everywhere. The NAACP Legal Defense and Educational Fund, Inc. (LDF) has fought for equal educational opportunity since its founding – including securing a landmark victory in Brown v. Board of Education, in which the Supreme Court declared the doctrine of "separate but equal" unconstitutional. Now, LDF is representing a group of 25 Harvard student and alumni organizations – comprised of thousands of Asian American, Black, Latinx, Native American, and white Harvard students and alumni– to defend diversity against attacks from SFFA and to create a more equitable future for all. If you believe diversity matters at all levels of education, stand with LDF in support of educational opportunity by taking the pledge now.